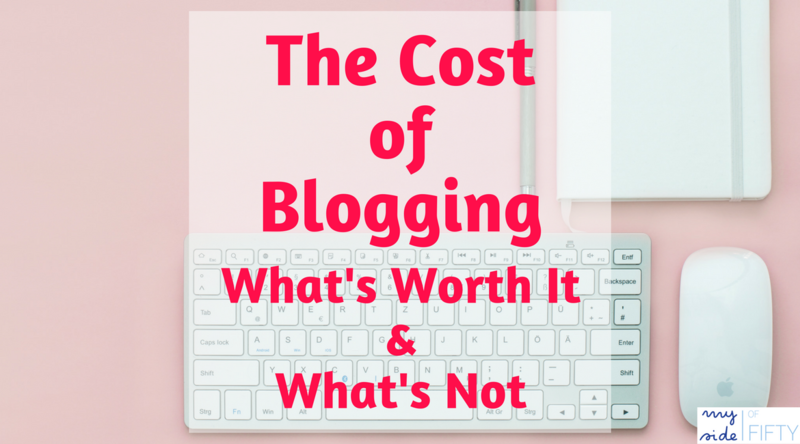 When you decided to write that first blog post, did you have a clue as to the cost of blogging? When I started blogging in 2015 I just started doing it. No plans for a business. I didn’t even know that was a possibility! I had a few minimal setup costs – hosting & theme. I also paid someone I trusted to help me set it up. But then I just started blogging. And about that time, all these blogging PRODUCTS and COURSES started coming my way. Oh – just $10 a month here. A mere $99 for a course there. And before I knew it I was spending a lot on my blog and not making a penny. I figured that was OK for the first year – I was “investing” in learning the blogging profession. But then came the end of 2017 – the end of my second year of blogging when I had finally STARTED to make some money. And I was more in the RED than I had been in year one!!!!! So as I have entered 2018, I’ve had a few “come to Jesus” moments with myself. This can no longer be an expensive hobby. It needs to be a profitable business, which means I no longer spend more than I make. So I analyzed everything I spent money on in 2017. What gave me a great return on investment? What is a good product that I probably should have waited to purchase until I was making more money? What was a total waste of money for this time in my blogging journey? I made the money back that I spent on this course in 3 months. In the last quarter of 2017, I had 4 times the number of sponsored posts that I had in the previous 3 quarters. I am getting 125% more for a sponsored posts than I was through the networks. And I do NOT have a high number of pageviews or a huge social media following. Now – don’t misunderstand me. This course is NOT magic. I worked really hard on this. But I followed Jenny’s method and it worked. There are a lot of different e-mail sign-up form and landing page templates – even pop-ups. I don’t have to buy another landing page or sign-up form service. The forms are easy to implement on my site. With their plugin, I can easily have different sign-up forms attached to different lead magnets that go with the various types of blog posts I write. For example, I have a form that is tied to my 5 Favorite Appetizers lead magnet on all my recipe posts. I can easily segment my list so that when I am selling products I can strategically target who might be interested. If I want to send a BUNCH of e-mails about something I’m selling, I can create an opt-out link so that people can opt-out of that promotion without unsubscribing from my list. Can you get this from other programs? Probably. But ConvertKit is so user-friendly, has everything in one place and their customer service is excellent. SiteGround – The person who set my blog up originally put me with SiteGround. I have only had my site down once for just a few minutes in over two years with SiteGround. Their customer service is superb! Canva – I am TERRIBLE at creating graphics. But using Canva helps me make graphics that look good. They have lots free images, templates and fonts to use. And with their paid plan you can easily access your brand colors and resize your graphics with the click of a button. Tailwind – I get a lot of my traffic from Pinterest and I credit Tailwind with their easy way to schedule pins for a lot of that. I fill up my queue when I have time to pin and Tailwind does all the work for me. Buffer – I am able to schedule to my 2 Facebook Pages, a Facebook Group, my personal page and my Twitter account all in one place. Buffer allows me to set it and forget it. It posts at the best time for my audience. And gives me great analytics so that I know what types of posts my audience engages with the most. Fiverr – I tried this for the first time this year when I wanted a professional looking design for one of my lead magnets. It cost $15 to get a professional looking lead magnet and I had it in-hand in less than 24 hours. Fiverr offers a lot of other services besides graphic design. And there is no annual fee. You just pay by the job. Content Sponsorship Contract from Businessese – This is a contract template that I use when working with brands, written by an attorney who knows what bloggers need in a contract. Totally worth it. I wouldn’t have a clue without it! Affiliate Marketing is not the main focus of my strategy, so I don’t spend a lot of time on it. As a Lifestyle Blogger, I don’t have a single focus. So if I promote one type of affiliate product, part of my audience will be interested. Another part will be not. Tasha has a much more targeted focus (DIY) than me. Her list and pageviews are HUGE. Mine are not. Part of affiliate marketing is a numbers game. Again, this is a VERY GOOD course. If you want to get into affiliate marketing, this is definitely the one to take. It just hasn’t yielded the ROI I was hoping for. In the area of photography, I have a LOT of room for improvement. So what did I do? Did I invest in a photography course? NO. I purchased a new lens for my camera and a high-end tripod. Never mind that I barely knew how to use the lens I already had. And that I couldn’t even set up the tripod by myself and had to ask my mechanical engineer husband to do it! I’ve used the new lens and tripod ONE time. Lesson: If you need to learn a new skill, don’t buy better equipment until you learn with what you have. Product Launch Playbook by Ruth Soukup of Elite Blog Academy. I LOVE EBA and think all the products they put out are exceptional. This one is no exception. If you are ready to launch a product, Ruth will take you step by step with how to do it. The problem was that I bought it when I wasn’t ready to launch a product in a severe moment of FOMO. At the time, all the blogging world was abuzz with “you have to have your own product to make money”. And no doubt there is money to be made in having your own product. But does EVERYONE have to have a product to make money? No. If I ever have an idea for a product that I want to launch, this will be a great resource for me. But I bought it at the wrong time and for the wrong reasons. Pic Monkey – It used to be free and everyone loves it. I never quite got the hang of it and always used Canva. When I looked back over the year’s expenses, I couldn’t remember why I paid for it! So I obviously didn’t need it. Rule #1 in business: PAY ATTENTION to where the money is going. Retweet Chores – If you take part in retweet threads where you can be retweeting 100+ tweets a day, this makes it easy. With a couple of clicks, this app does the work for you. And it’s only about $10 a month. But, I had way too many $10/month things going on and had no business adding another. I can do my own tweeting at night in front of the TV. But, I will say that Retweet Chores would be perfect for a VA who is handling several Twitter accounts. Only pay for products that are totally worth it. Don’t buy ANYTHING that you don’t have the money for already – no more “you have to spend money to make money” for me. And get over FOMO. Those FOMO purchases have never been a good investment in the long run. Cathy, I’m sitting at my computer this Friday night trying to decide on a theme to begin blogging. This post couldn’t have come at a more opportune time! I bookmarked this post and several more websites located in your post. Thank you, thank you! Terry – so glad you found the information helpful! Cathy I also started out just like you, clueless. But I am so fed up with all this money going out the window . It sounds like Jenny’s course is a winner, I need to find a way to approach these brands without going through the regular channels. Thanks for the tip! Mary – your blog is so good. I know brands would love to work with you. Jenny’s course is the way to go. I hope you are able to take it! Cathy, I’ve been blogging for the past 8 years. It’s sure been a challenge to figure out how much to invest in a hobby like blogging. Over the past few years I’ve honed in on how to make money with this hobby I’m so passion about. I loved learning what has worked for you. Thanks, Nancy. I’ve gone from hobby to business too. It’s great to be able to make a little money doing something I love. So glad you found the post helpful! Excellent tips. I have a file of courses that I’ve bought and paid for at the wrong times and I also know I’m paying out way to much. Because of the services I offer keeps me out of the red I tend to spend more, but I’m trying to curb that too. Rena – I used to be a total course “hoarder”. Trying to put the brakes on that myself. I’ve learned that the courses I just “have to have” always come back around! No need to buy it if I’m not going to use it right now. You offered some great tips! These are the types of things I wish I would have found in 2008. We certainly learn some valuable lessons as we progress in our blogging journey, don’t we Sara! This is a great post, Cathy! I’ve been in the same boat and that FOMO gets me in trouble every time! I will say that I just took a short course on how to use Canva and it was definitely money well spent! I’ve put several courses I’d like to take on the back burner until a more appropriate time. Shelley – I’m sure you know after blogging a while, that these courses (where they create such urgency) always come back around. Hopefully I am moving toward getting over FOMO too! Rebecca – there are so many paid convenience tools that can really add up! And it’s amazing how many free ones there are out there. Low overhead is the key and only paying for the things that have a high ROI! I use many of the free versions of the tools you pay for. I appreciated the tip of outsourcing an ebook need to Fiverr. Janice – I was really impressed with Fiverr – let me know how it works out for you! We are in our second year of blogging and there is so much we have no idea about. When you are talking about your email lists and lead magnets I don’t know what those are much less how to use them. It all continues to be confusing but I haven’t spent a lot of money either so that is is a plus. Thanks for some great tips. I don’t spend money on my blog – it’s a hobby and not a business, so I’m happy to use a lot of free resources and putter along – I’m really happy with what I’ve achieved from very little financial investment. But it’s true that you have to spend money to make money – it’s just getting the balance right isn’t it? Leanne, there ARE so many free resources out there that work just fine. So glad you are blogging the way you want to and are being successful & having fun. Kathy – you are so right. We have to be very clear as to the “why” and what we want to accomplish. Everything else falls into place – how much time and money you spend on it – after you answer that very important question. I love your blog and perspective you share! Great information Cathy. I have been considering EBA and will do it, but in the future. You are exactly right, if I spent that money now it would totally be from FOMO! Thanks so much. ps. Thanks for linking at OVER THE MOON Link Party! Avoid the FOMO!!! But EBA is a great course. Save your money & take it sometime. Claire – glad you found the post helpful. Don’t know what I’d do without Canva! Great post on a timely topic! I am guilty of FOMO purchases too! My big money goof was buying an expensive photo service. Expensive but it makes it so easy to post a professional photo. Luckily, I’ve found a less expensive one. I take my phone photos too but a service is nice to have. It saves so much time. I use most of the tools you do. However, I haven’t dived into Pinterest for marketing yet. That’s on my list. Tailwind is on my radar! Thanks, Cathy! Linda – Pinterest is great for marketing. I get most of my traffic from there! I think we all fall into the FOMO trap! I hate when brands reach out to me and they want me to be an affiliate of their brand. Um, NO. That generates ZERO DOLLARS because I am not the type of person to PUSH PUSH PUSH people to buy things. I think it’s tacky and people who do it remind me of used car salesmen. It’s not attractive. So no thank you! Plus, my effort to promote said brand (if I even like it) deserves more than 10% of a maybe $10-30 product. That’s right, Gigi! We have to value the space on our blogs and the content we produce. If we don’t, no one else will! This is very helpful for me right now, Cathy! I am currently looking at numbers myself. I’m will to pay for some things that don’t have a huge return just for the time saving factor, but I need to be more careful about watching the ROI. PicMonkey is one of those (thanks for the reminder to cancel!). Tailwind, however, has been great! My traffic from Pinterest has increased almost 100% in three months of using it. Wendy, I think it’s so easy to sign up for tools that are just “$10 a month” and before you know it you’ve really racked up some expenses. I haven’t been careful about watching it, but I am now! Thanks for this Cathy. 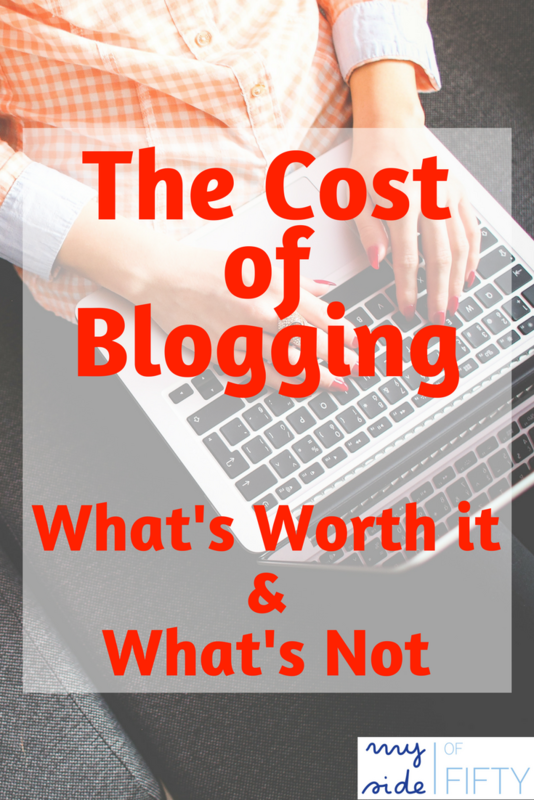 It is refreshing to have some real content about the expenses of blogging. It is easy to see the people who talk about making big dollars (when they are pitching their products) but we see much less of those of us who are smaller bloggers talking about the money we spend. I have spent more than I made and have also been reevaluating what I need and what I want to pay for. At some point, you have to decide if it is a great hobby or a serious business. Michele – you are so right. I’m not a big blogger. Made a little money, but spent more. Reigning in the spending so that I can see some sort of profit in 2018! Donna – blogging doesn’t have to be a business. It can just be a hobby for fun! I guess the point it, if you’re going to spend money on blogging products, spend it wisely! Thanks, Marilyn! Always pleased to be featured on OTM! I’ve never heard of iPiccy. Need to check it out. Thanks for the suggestions, Roseann! Thanks for an informative post Cathy. Apart from the content, you have such a nice natural way of writing that people really appreciate. This is a new phrase to me that I don’t understand. ‘I’ve had a few “come to Jesus” moments with myself’ Must be a cultural difference. The Blogger’s Pit Stop will feature your post this week to give you some more exposure. Kathleen – it’s a slang saying meaning something like a “day of reckoning”. No disrespect intended toward the name of Jesus. Thanks so much for your kind words about my writing. Glad you found the post informative. Thanks so much for the feature! Very informative, so refreshing to get some honest info! Raquel – glad you found some helpful information in my post. Thank you for reading and commenting! Cathy, Congratulations on having one of the most popular posts on Bloggers’ Pit Stop this week! I commented last week on it and found myself re-reading it. Excellent info. Linda – It’s always wonderful to be featured. Thank you. And I’m so glad that you found the post helpful! Now that I have found your super blog, I am reading many of your posts. This one is SO true and SO helpful! I started as a hobby after I “retired” and the money has been flying out the window! Affiliate marketing is interesting but the income for me is very small. I’m having a hard time generating followers and know I need a lead generator, but couldn’t figure out how to make it look professional. I will try FIVERR for sure. And I recently heard about Jenny’s course, so glad to hear you found it helpful. Thanks, Cathy!! Darlene, Jenny’s course is fabulous. Look up her podcast Influencer Entrepreneurs with Jenny Melrose and her Facebook page by the same name and you can start learning a bit about how to generate income with sponsored posts. I am starting to generate some income for the first time using her methods. And Fiverr is great and so reasonable. Glad we found each other! How much is Jenny’s course? I keep getting hit with these expensive courses and I know this will pay for itself, but what is going to be my upfront cost?